The IGF finalists have finally surfaced and Zeno Clash has been nominated in the 'Excellence in Visual Art' category. 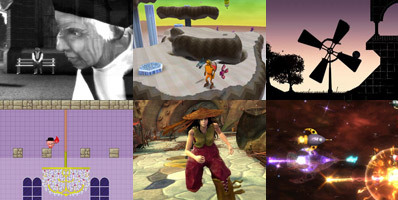 The finalists were selected from a pool of over 250 indie games, a record inscription for this year's festival. ACE Team is very happy to announce that Zeno Clash is one of the 5 finalists of this year’s Independent Games Festival in the Visual Arts category. This means that Zeno Clash will be present at the Game Developers Conference that will take place this March, during which the winners for each category will be selected. I love the style of this game. I remember seeing the first media for this game a little while back. It does indeed look great! Also, this game feels NOTHING like other source games, it really shows that despite the age of the source engine, it can still, if used right, produce the same amazing graphical results that many other new engines do. I've been following ZC from the beginning, and I have my fingers crossed for this one, (can't wait for IGF as well! ).